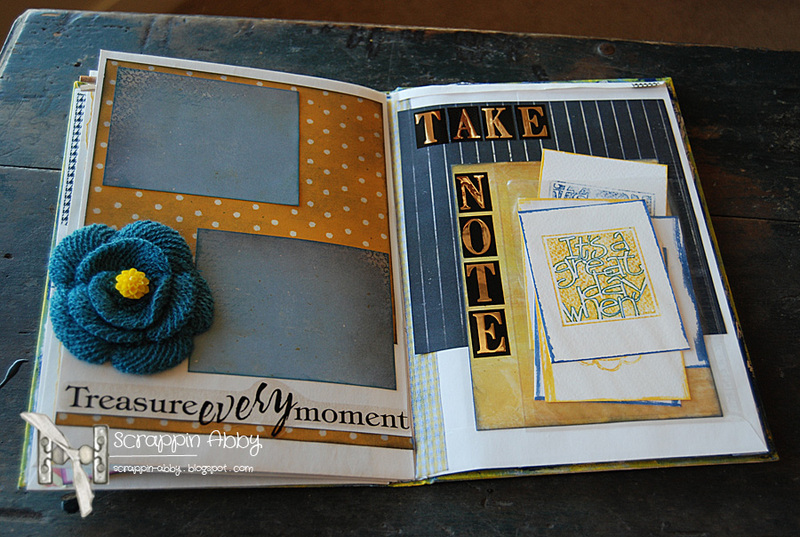 Today Abby is sharing a great tutorial of a Memories Journal. 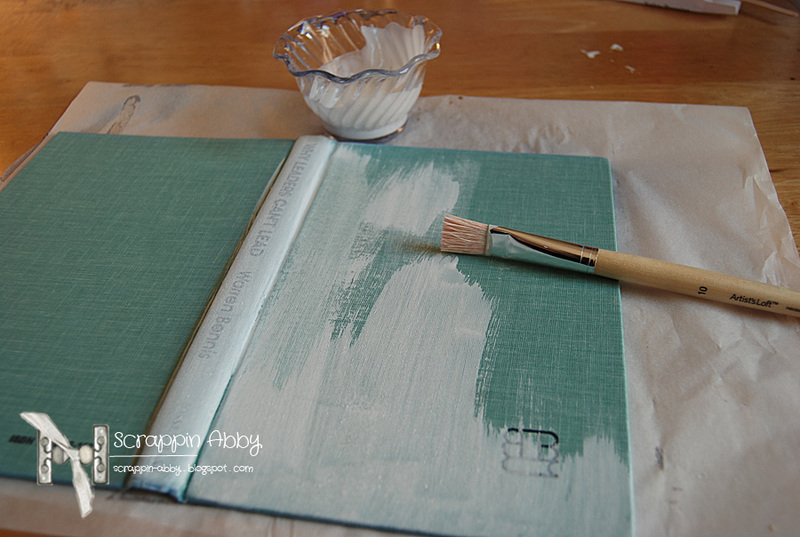 I used a mix of white craft paint and water to create a whitewash mixture that I used to cover the outside of the book. 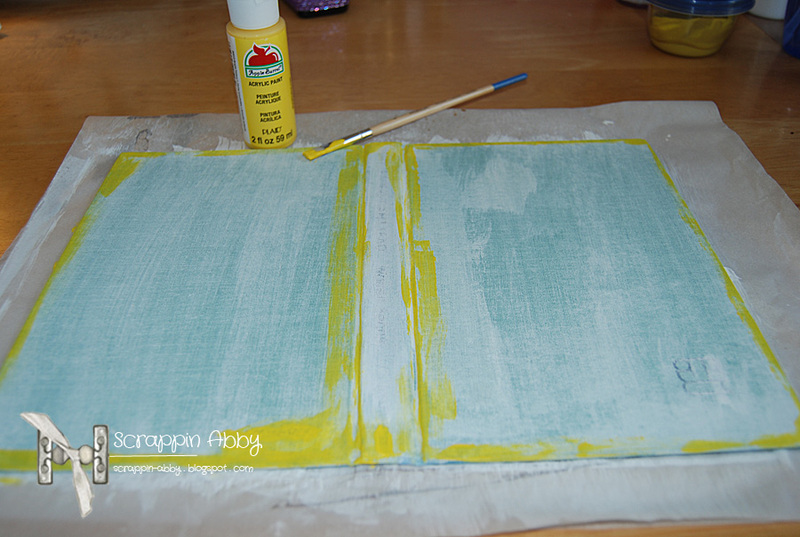 My daughter’s school colors are blue and yellow so I added some hints of yellow craft paint to the cover after the white coat was dry and did the same with some blue paint. 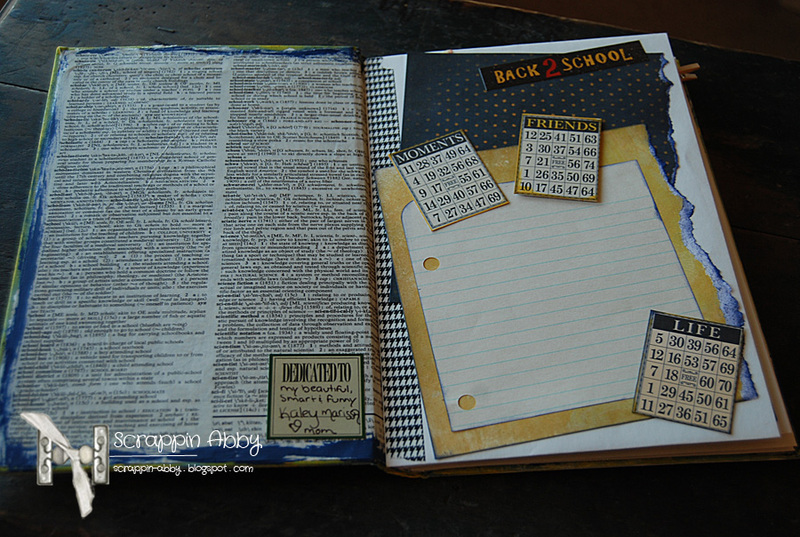 Since this is a school themed project I thought it would be fun to cover the inside with some old dictionary pages. 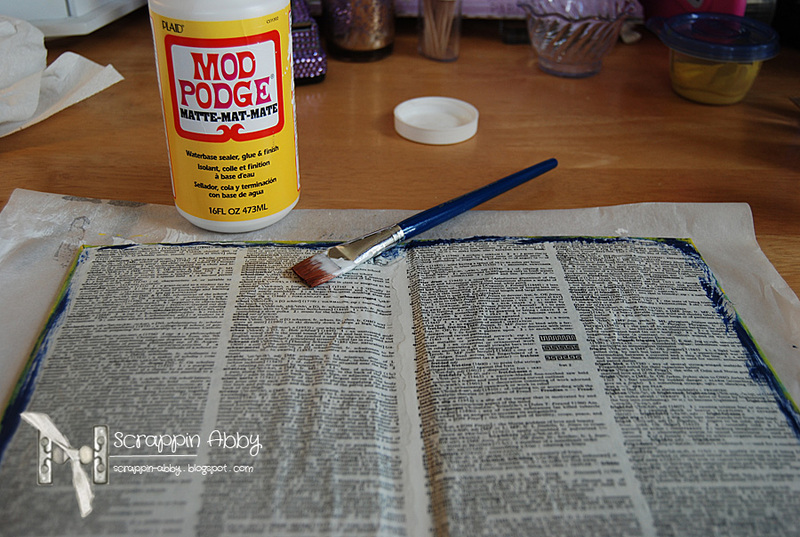 I used some modge podge to adhere them to the inside . 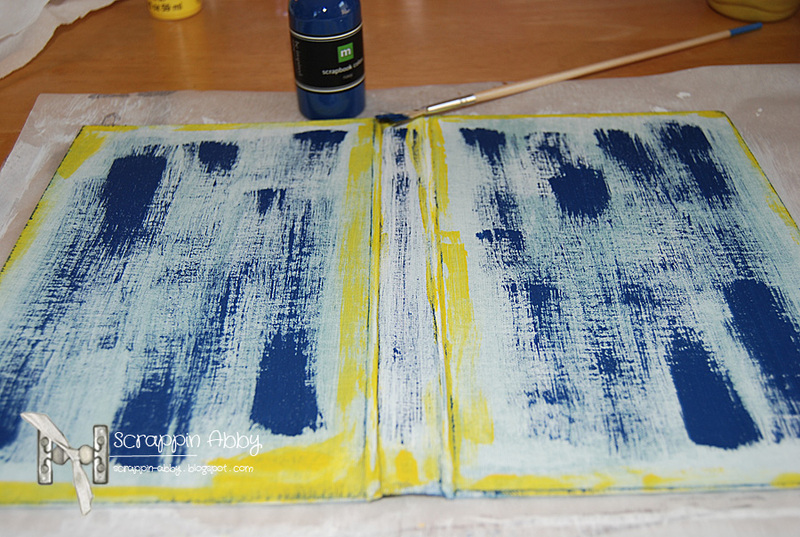 I set this aside to dry and began working on the inside pages for the journal. 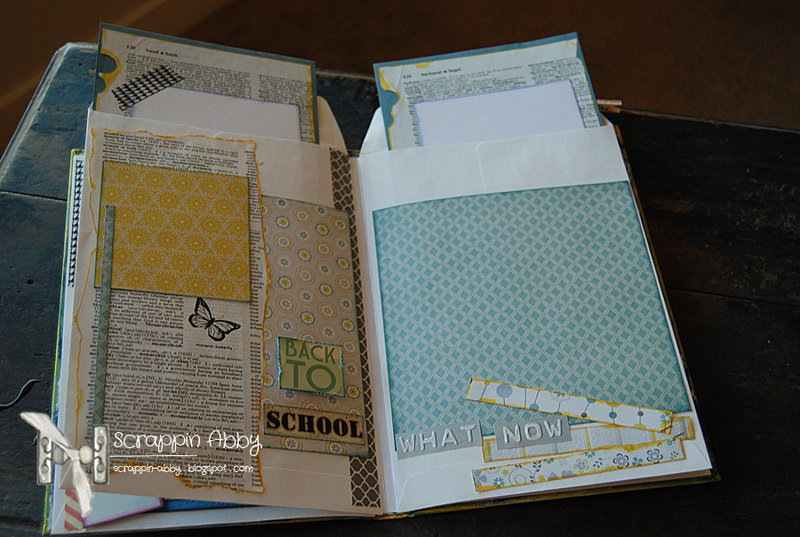 I had an old school folder so I used it for some of the journaling pages in the book. 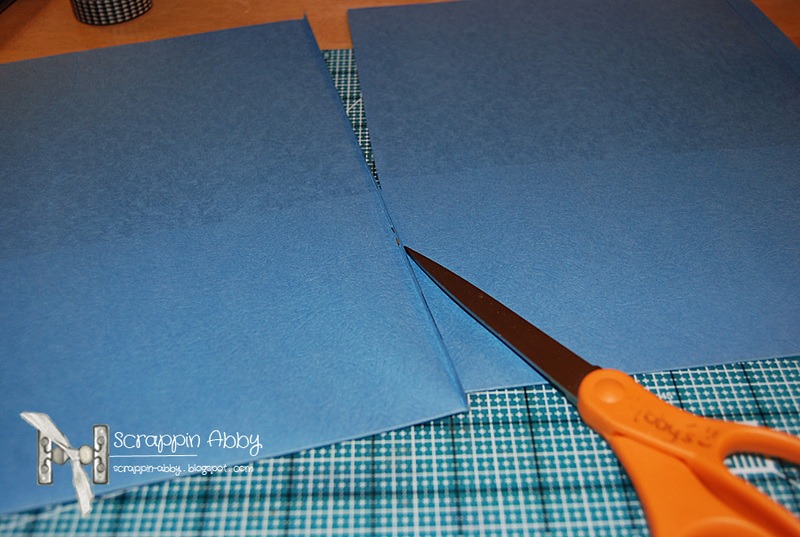 I cut it in half and then cut again to the desired sizes I needed. I wanted to create some journaling cards for her friends to write notes etc. 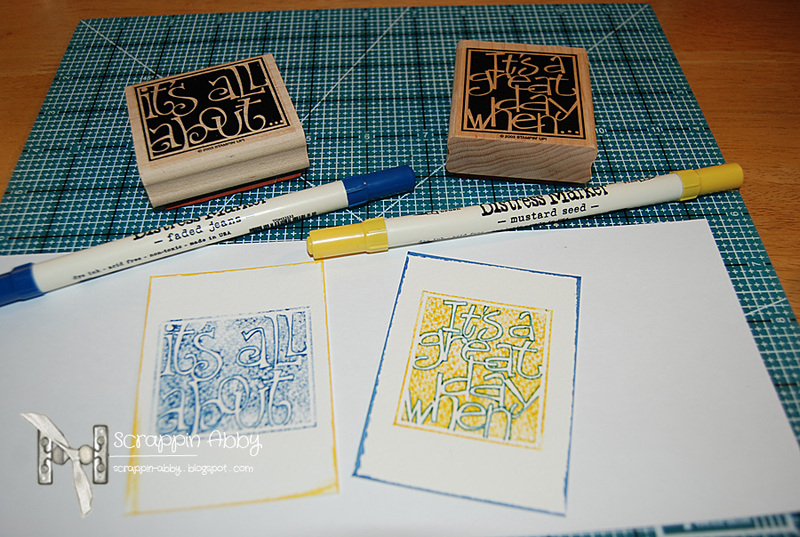 so I used a variety of stamps to create some sentiments on one side of each card. 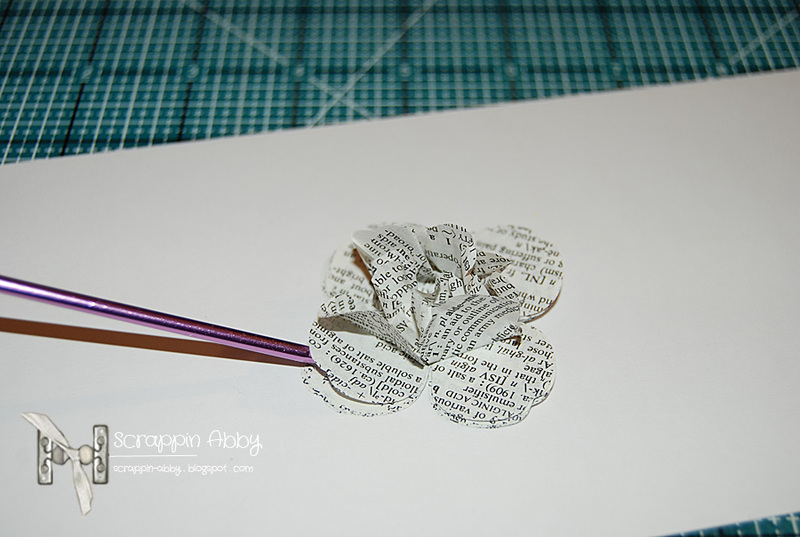 I wanted to use more of the dictionary pages so I decided to make some flowers for the front cover. 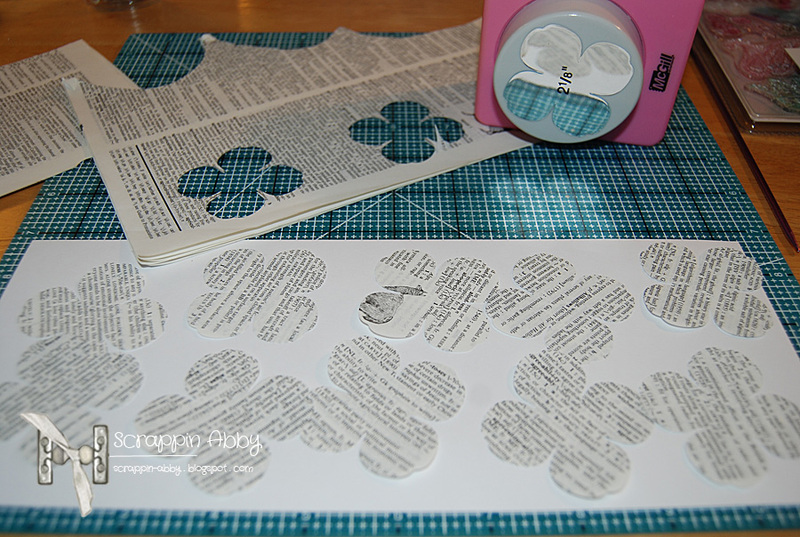 I cut out 10 flowers using a punch from the paper. I then layered them all together and made a hole in the center and inserted a brad. 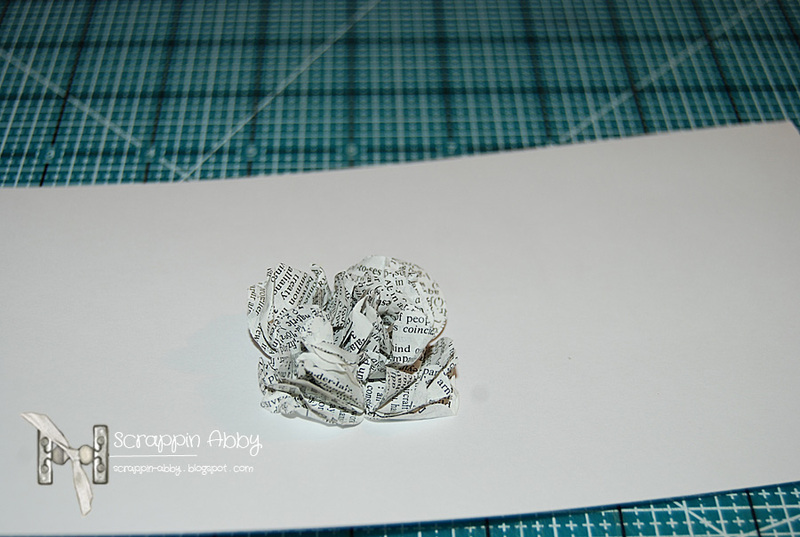 To create the flower, I crumpled up each layer one at a time with my fingers . 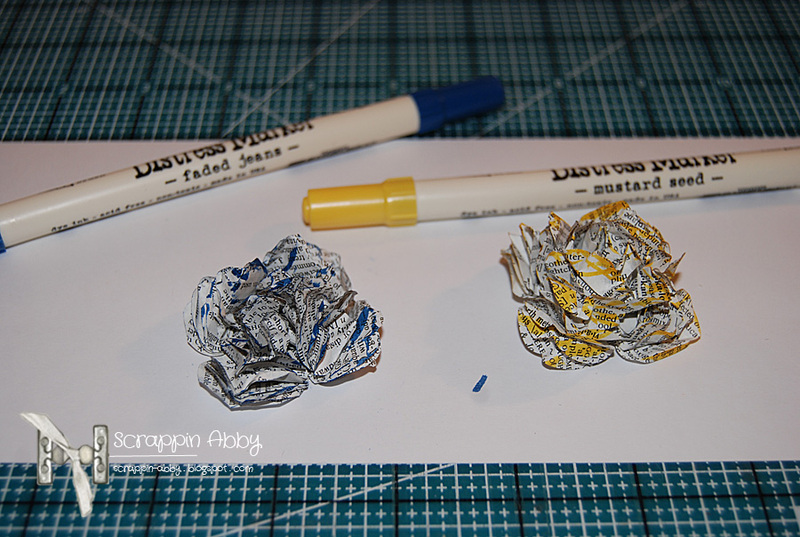 I used some Distress Markers to add the blue and yellow colors to each flower. 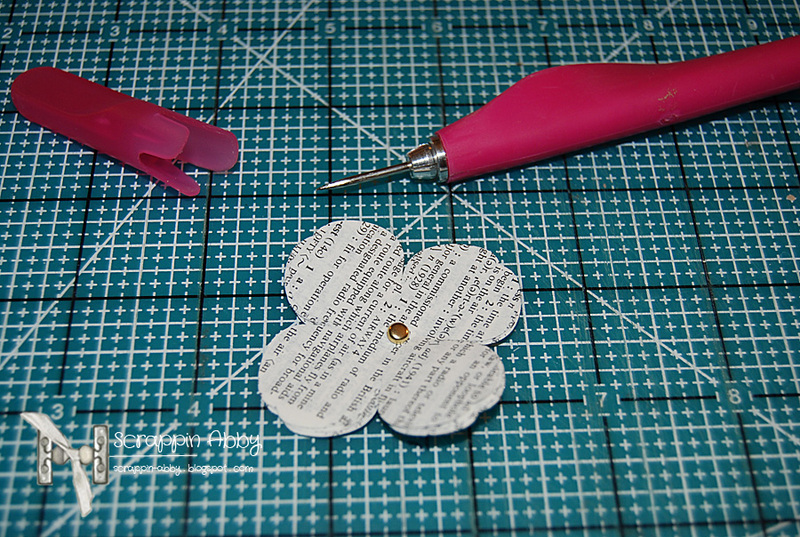 For the binding I used Laura Denison’s Stack The Deck method. You can find her full tutorial on YouTube. 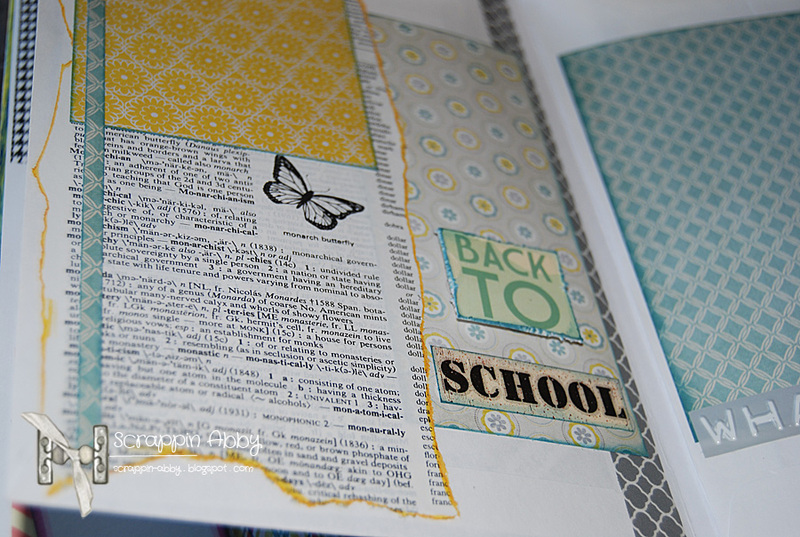 I used some old office envelopes for the pages on which I added photo mats and journaling spots using a variety of papers and card stock. 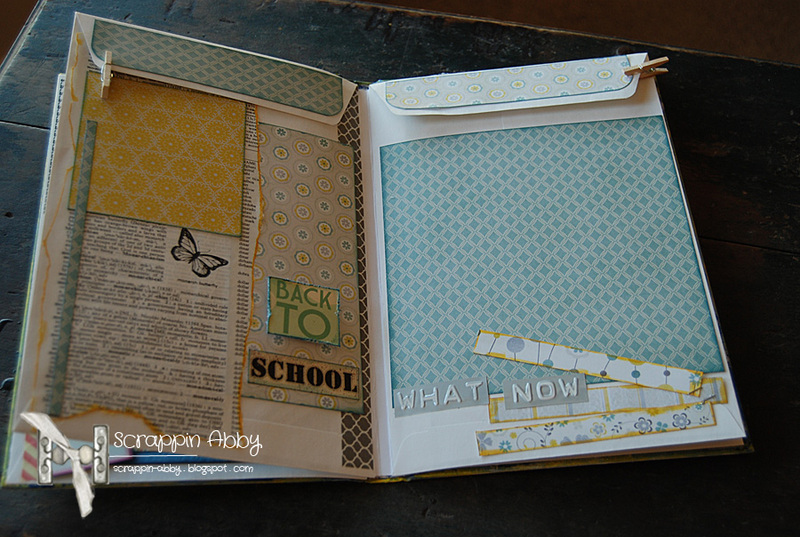 To complete the journal added some flowers, washi tape and other items that fit within the theme. I even used a rubber band and broken ruler as my closure for the journal. 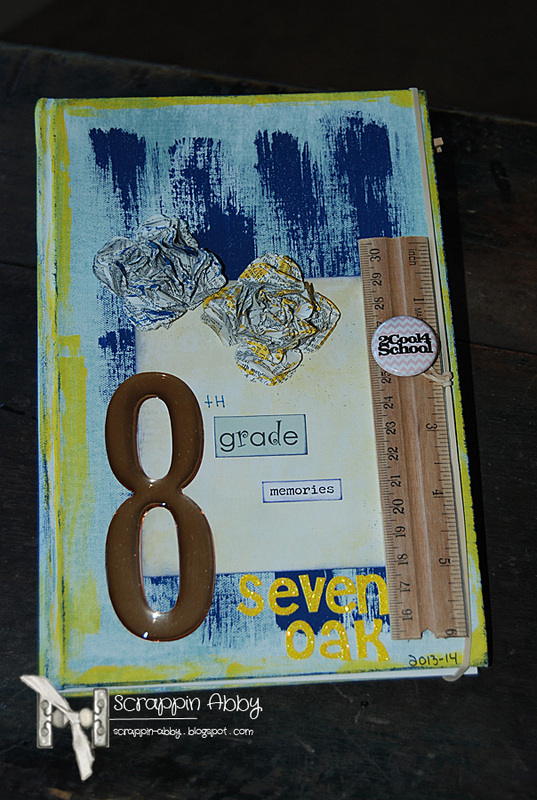 I hope I’ve been able to inspire you to use some school items to create something that will be used to hold memories and photos. 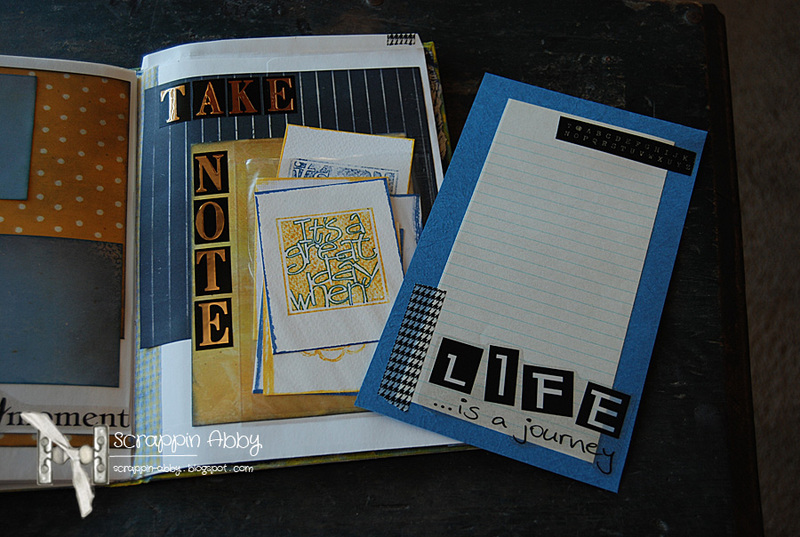 I hope you all like this great journal idea.